James Bond is a pop culture juggernaut, but even obsessive fans have trouble keeping track of the secret agent’s complicated history of over dozens of films. Here’s what you need to know about the iconic man of mystery. All the incarnations of James Bond are brothers and live together in a studio apartment: Here’s one of the more obscure bits of Bond mythology. 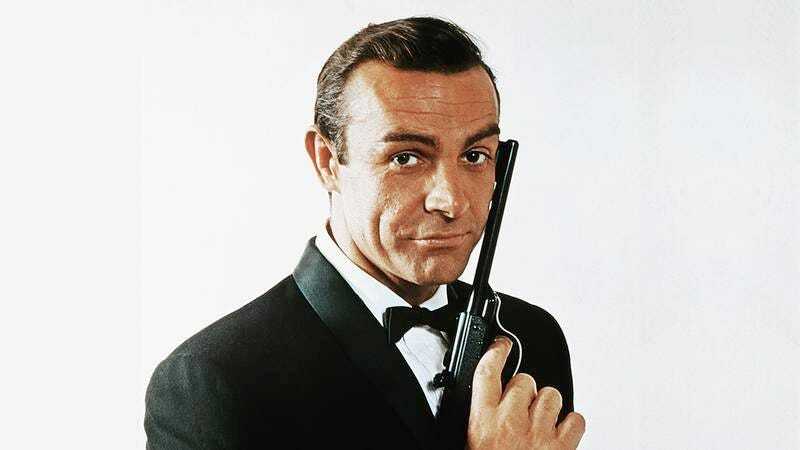 All the James Bonds—from the Sean Connery James Bond to the Daniel Craig James Bond—are brothers who were given the same first name by their parents. To save money after moving to London and joining MI6, they rented a studio apartment where they all sleep together in a single king-sized bed, except for the Roger Moore James Bond, who sleeps on the floor in a sleeping bag because there isn’t room for him. Bond’s code number 007 is a reference to 7: Author Ian Fleming didn’t pick 007 at random. Most viewers don’t realize that it’s intended as a clever nod to the number 7. James Bond doesn’t understand that humanity is weak and corrupt and that the Earth must be purged so a better world can be built on society’s ashes: The fool, Bond can’t see that, like a forest fire allowing fresh saplings to grow, civilization must be swept away to make room for a utopia. Disgusting sheep, that’s what most people are, living their tedious lives, mindlessly destroying their environment in pursuit of the almighty dollar. It would be a favor to burn them all away, like the ants they are, and allow a select group of genetically superior humans to repopulate the planet, but Bond doesn’t have the vision to embrace what needs to be done. Jason Bourne is pretty much the same thing: One of the best thing about James Bond is that he’s basically Jason Bourne. You can nitpick ways that they’re slightly different, but they’re essentially identical. James Bond being more or less Jason Bourne is what theatergoers have loved about Bond for over 50 years!